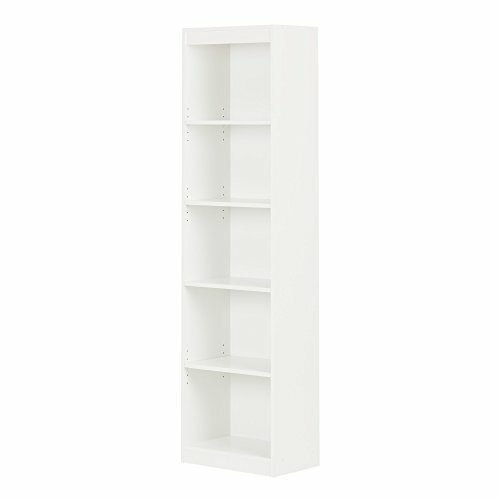 Dimensions: 20L x 20W x 77H in. 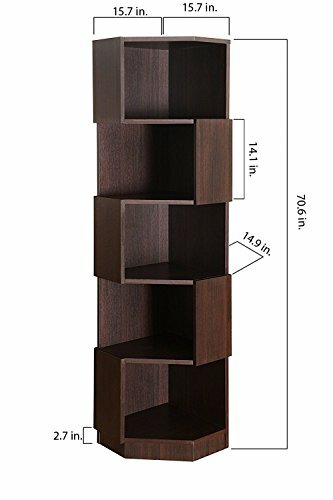 Dimensions: 19.5L x 15.5W x 71H in. 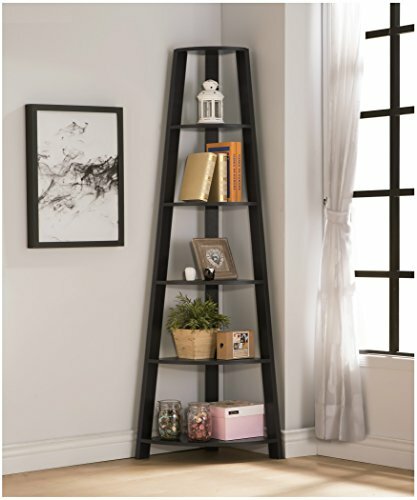 Dimensions: 11.87L x 11.87W x 63.75H in. 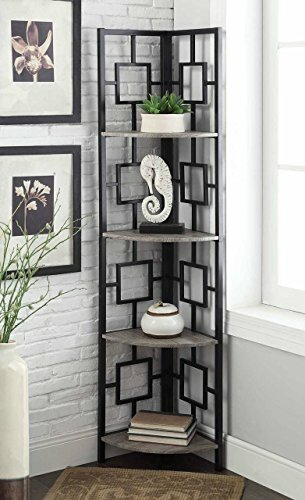 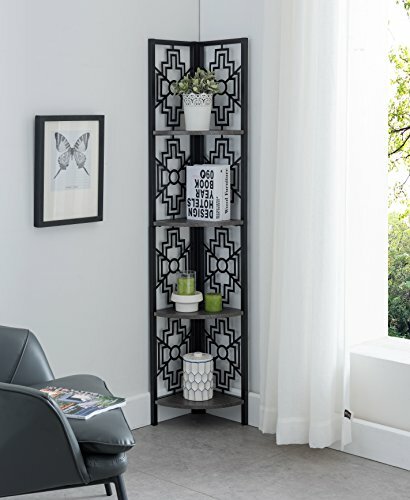 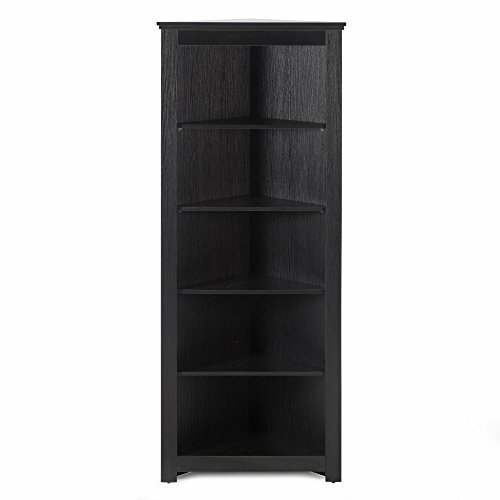 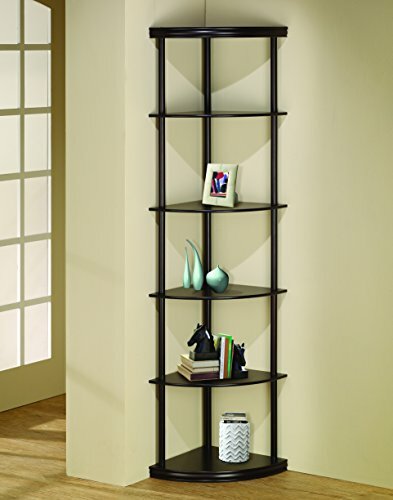 Contemporary bookcase for the living room, bedroom, home office and more. 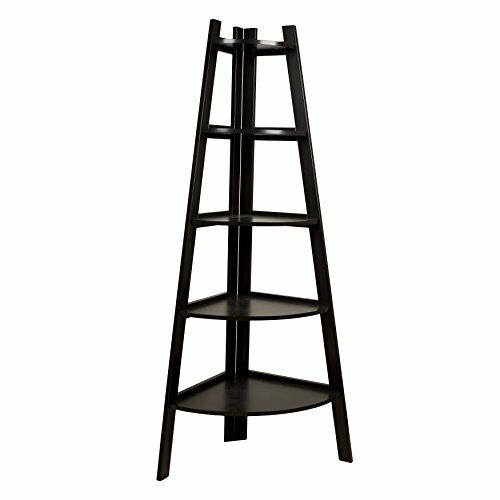 Rounded shelves narrow down in size from bottom to top. 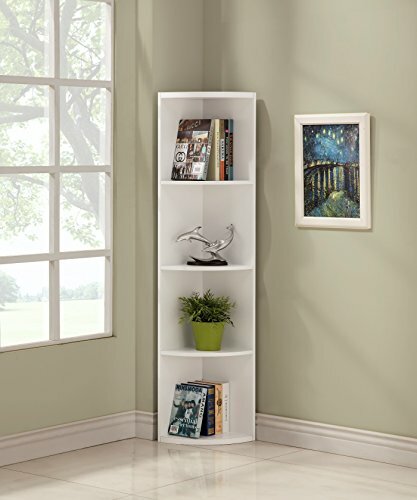 Space saving book shelves also show off photos, collectible or decorative items. 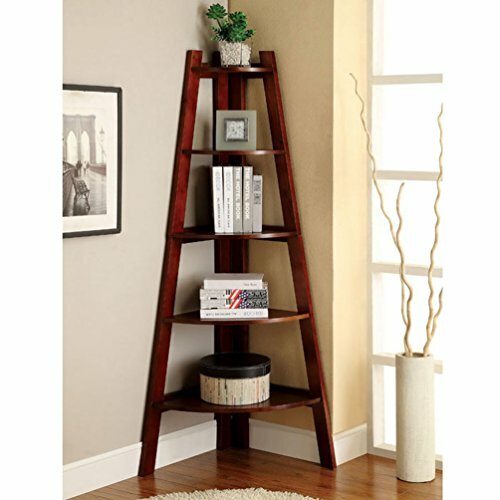 Easy to assemble, made with MID wood; instructions and hardware included. 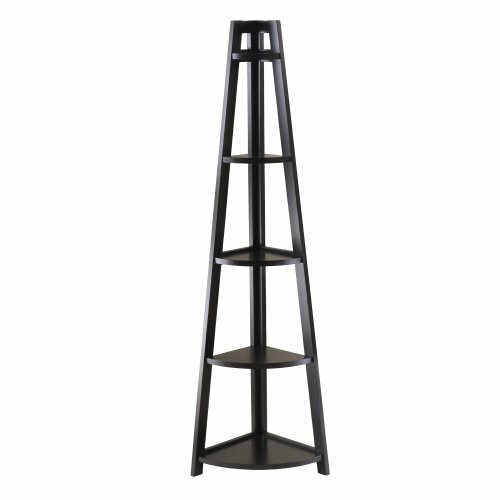 An ideal bookcase for livingroom, bedroom, kitchen, diningroom, office, hotel, bar, restaurant, etc. 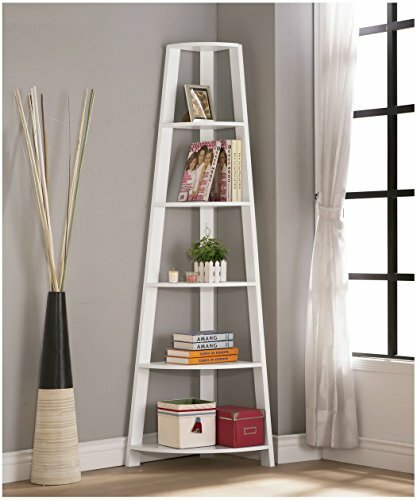 Thanks to its space saving narrow L design, you can place it tight places. 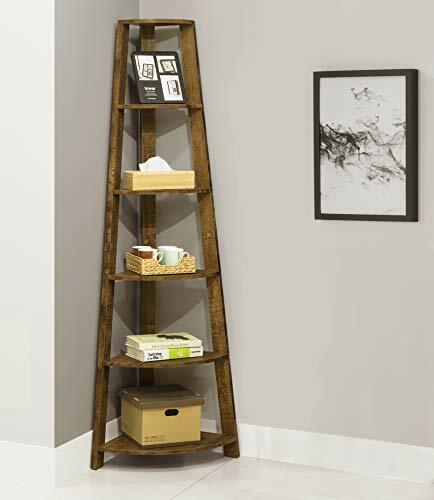 Kings Brand Furniture 3 Tier Antique Finish Corner Bookshelf Bookcase. 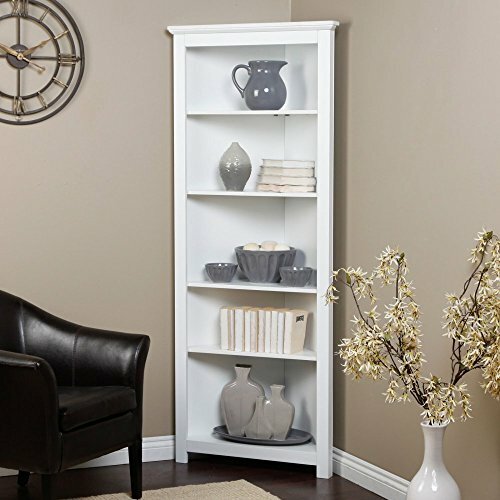 Make use of every corner of the room with this corner bookcase. 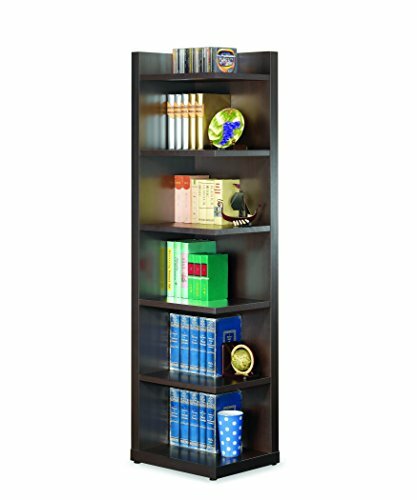 This case offers plenty of storage for books and decorative items while take up as little space as possible. 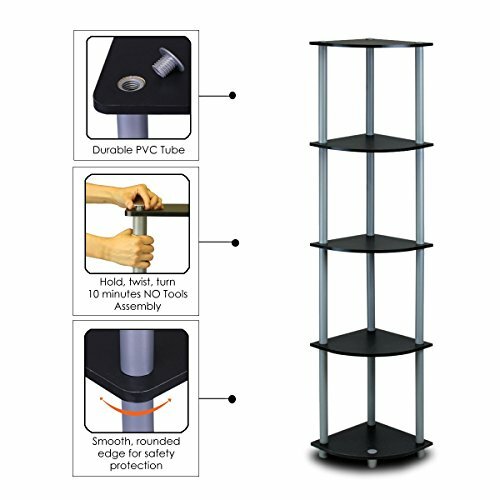 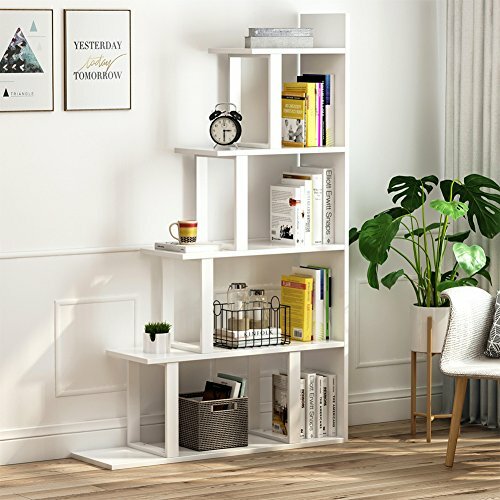 High-quality material: the bookshelf is made of high-quality wood and steel material which eco-friendly, poisonless and tasteless. 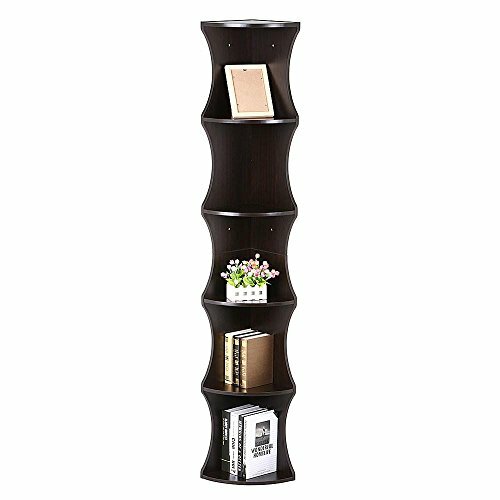 And it also waterproof and scratch. 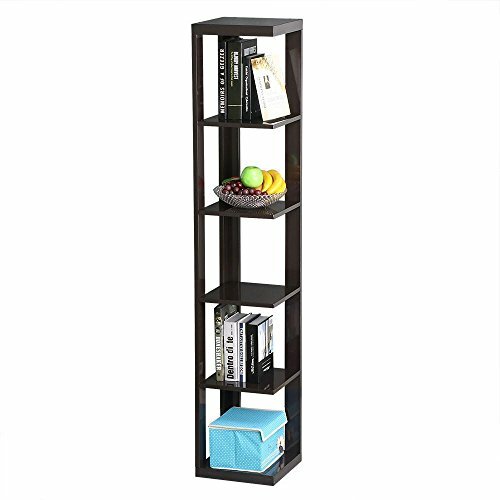 Large size: Designed to be used as a bookcase, display cabinet or room divider for numerous shelves of varying size and shape. 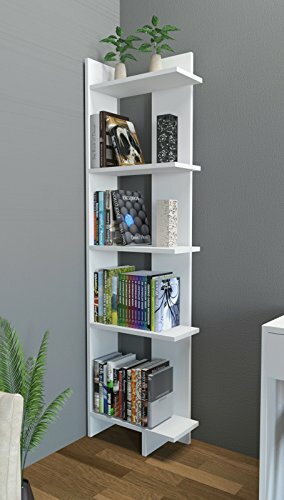 Featuring 5 open shelves that will create a unique way to display everything from books to collectibles. 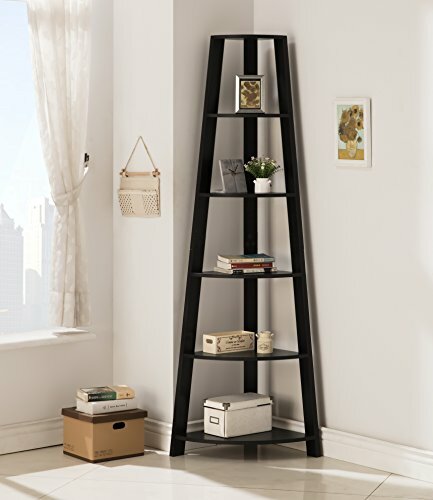 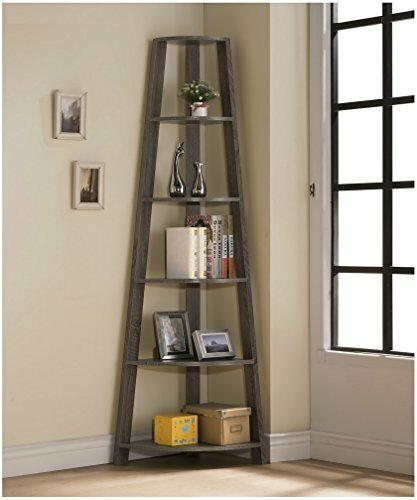 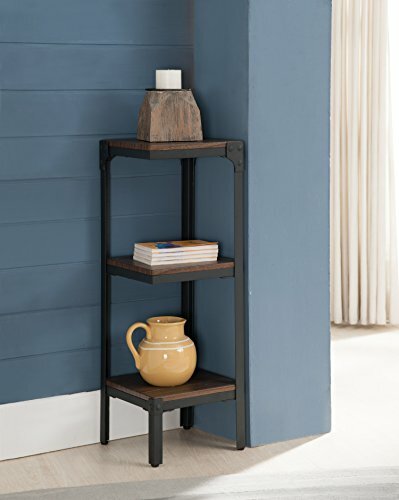 Unique design: the shelf is designed ladder style for aesthetic feeling and using value. 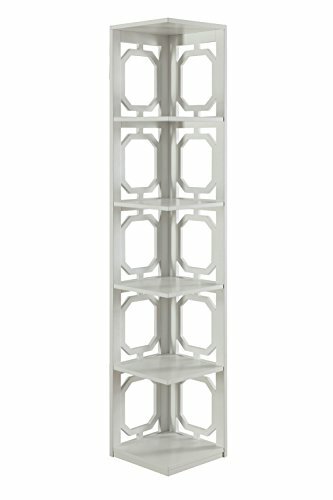 And it is fully automated and not shedding.